Prominent & Leading Manufacturer from Pune, we offer gas meter and addressable gas meter. Backed by years of experience of this domain, we present patrons with the premium grade of Gas Meter. Used for delivering the usage information of utility such as LPG gas, the rendered gas metering solution is easy to install. The rendered gas metering solution effectively collects the utilization information and stores the data on the panel. We are offering Addressable Gas Meter. 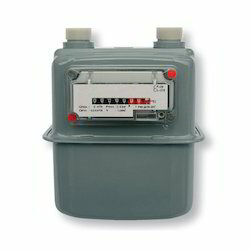 Water/Gas meter is equipped with an electronic counter along with a mechanical counter having unique ID to provide information to the monitoring panel.All the Meters are linked with 2x1 sq.mm copper cable referred as signal bus. Monitoring panel continuously collects the utilization information from meters and stores the data on their panel. The consumption data can be viewed on the TFT display provided with control panel. Additionally, the panel has the provision of PC connectivity to download the data for billing and reporting. 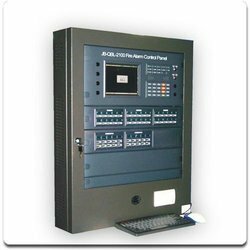 Metering panels of various other towers can be networked using LAN and connected with GSM for remote monitoring.